Mothers undergo some of the most intense body changes. From weight loss, hormonal imbalances, pregnancies, age, and genetic factor, a woman’s body faces a lot of influences over time. As a result, women continually face different challenges at every turn when trying to maintain that youthful, sculpted look. On many occasions, a healthy diet and exercise produce results. To some extent. But what about issues that don’t respond to the conventional approach? Loss of symmetry in the body, excess fat, and sagging skin are common enemies of the female form. Cosmetic procedures are the ultimate answer to these challenges. It pays to have a handy remedy that restores your youthful look where dieting and regular exercise offer no reprieve. Mothers regain that shapely, contoured form through various processes such as breast augmentations, fat transfers, and liposuction. On some occasions, a solution is a combination of two or more treatments for the best outcome. Recovery periods are just as critical as the surgery itself, so the doctor’s instructions should be keenly observed as your body heals. Remember, cosmetic procedures don’t prevent future weight gain. You should, therefore, stick to a healthy diet and regular exercise to maintain your newly acquired look. Of critical importance is the observation of the recommended activity levels during specific phases of your recovery. Don’t over-exert yourself. Instead, delegate duties and get as much rest as you can as your body heals. If you get a prescription, ensure that you take your medication regularly. Loose skin in the abdominal region is a common concern for many individuals. Women, in particular, have to contend with the condition due to having children and significant weight loss. This problem is a cause for concern, mainly because healthy eating and an active lifestyle don’t offer a reprieve for women trying to restore that youthful, sculpted look. Other times, there is a lack of proportionality in your midsection. A situation that remains unresponsive to conventional methods of achieving your ideal appearance may cause some concerns, leaving you anxious about your looks and affecting your self-esteem. At Chicago Liposuction and Specialty Clinic, we have the perfect solution in the form of expertly-performed tummy tucks. A tummy tuck is a cosmetic procedure that brings out the definition in your body parts such as the abdomen by the removal of excess or unwanted skin and fat. The doctor not only removes the unwanted tissue but also tightens your navel area, giving it a smoother, youthful look. Getting a tummy tuck is a fast and possibly safest cosmetic procedure for a trim waistline. After the operation, you boast a leaner look, not just in your bikini line, but also a more muscular look all the way up to you’re the upper abdomen. The surgery works best for women in relatively good health, but have sagging skin in the abdomen, or are trying to get rid of fat that’s unresponsive to dieting or regular exercise. Pregnancies stretch the skin beyond limits where natural elasticity can restore the smooth, toned look. With time, the skin produces less and less collagen, and in turn, loses its ability to recover its natural, taut look. The procedure is your go-to solution in such a scenario, helping you bring back the shapely abdomen you spotted before pregnancy. Ascertaining suitability for the procedure remains a critical part of the process, and this takes place during the initial consultation with the doctor. The first step is the administration of anesthesia, ensuring maximum comfort for you during the session. The doctor then makes a smile-shaped incision from your left hipbone to the right or vice versa. A tactful approach positions conveniently position this line in a manner that makes it invisible when you wear your regular outfits or even decide to wear a bikini. The cut lies right above your pubic area, with a second one freeing the navel from surrounding muscle. The doctor then separates the skin from your abdominal wall and lifts the flap of skin up to your ribs, exposing your vertical abdominal muscles – rectus abdominis. The physician brings the underlying muscles closer together and stitches them into place. This step gives you a firmer abdomen and a relatively smaller waistline. Depending on your unique case and the corresponding surgical needs, you may have a mini-tummy tuck. This operation is a partial abdominoplasty with a significantly smaller incision may not require the repositioning of your navel. Mini-tummy tucks involve the adjustment of the area between your navel and incision line, above your pubic area. The surgeon then stretches the skin flap towards your waistline, removes the unwanted tissue, and stitches the flap back. For patients with a considerable level of skin elasticity, liposuctions alone may effectively bring out the desired look. Liposuction easily and safely gets rid of extra fat in the body and is a fantastic option if you have no plans for pregnancy in future. Immediately following surgery, you have to wear a compression garment, and this must remain on for the period prescribed. Reasonable movement is beneficial to your recovery at this stage, maintaining a controlled level of activity at this point. At the end of the first week, a small drainage tube comes off. During this phase, you experience some bruising and swelling as the body flushes out all excess fluid. After seven to ten days following your operation, the stitches come off. In some weeks, you no longer have to wear the compression garment. The physician properly directs you on the best time to stop wearing this protective cover. At this stage, you may comfortably increase the amount of activity in your daily schedule. Within three weeks, you can perform non-strenuous duties. This phase sees a steady decrease in swelling and bruising. At this point, the effects of your surgery begin to properly manifest. Your sculpted look sets in over the few months following your procedure, with the dissipation of numbness and tightness in the treated region. The incision line also continually heals, fading from the original reddish complexion. It is crucial to take great care of your body during the recovery period. Some necessary precautions include avoiding direct exposure to the sun. Remember to staying away from dark clothing as it retains heat and may result in increased skin temperatures which, in turn, hamper recovery. The scar is smartly concealed and remains covered when you are in regular clothing, and even when you are in a bikini. However, the nature of the incision means that it will always be visible on closer observation. There is a significant change in the appearance of your midsection immediately after surgery. A majority of patients enjoy the benefits of a firmer, toned abdomen, with increased self-confidence and significantly less or no anxiety about their appearance. You dress a leaner figure with more ease and look much better too. Remember, you still have to make healthy food choices and maintain an active lifestyle, incorporating regular exercise into your daily routine. Having a tummy tuck has no bearing on future weight loss, so treat your body well and maintain that stunning, hourglass figure. A significant number of ladies seek bigger, fuller breasts. An increment in cup size remains one of the missing pieces of the puzzle for that stunning, balanced look. It is for this reason that breast augmentation is one of the most popular surgeries sought by individuals to enhance their looks. Some people have smaller sizes naturally or may have smaller cups due to weight loss or nursing after pregnancy. You may want a procedure to balance the asymmetry in your look if one is significantly larger than the other. Our cosmetic surgeons give you the chance to realize that stunning look by performing the necessary processes to enhance or balance your form. The vastly-experienced doctors at the Chicago Liposuction and Specialty Clinic can do silicone gel as well as saline implants. We aim to cater for individual tastes and preferences. A significant number of women have frames that are relatively wider in comparison to their bust size. This imbalance makes it hard to find clothes that properly fit. Our patients find peace of mind in breast proportions that match one’s body type. When you have this crucial balance in your body, you feel much more comfortable and subsequently have better self-esteem. A good cup size sees you freely spot that swimming costume to Chicago’s scenic beaches. With that fantastic figure. After the procedure, you can finally shop freely without the concern of ill-fitting clothes. You can now boldly pose with your outfits in the changing rooms as well. A bust size that matches your frame or personal preference increases your confidence significantly. Many ladies have one breast that is larger than the second. This difference in size may cause one to feel some degree of anxiety about personal looks. A variation in size also makes shopping for bras and clothes a tricky proposition as you seek to get that perfect fit. Even then, you will still want a permanent solution to your physical imbalance. Our experienced physicians skillfully balance the size and appearance of your bosom, with the subsequent balance a significant boost to your confidence and self-esteem. 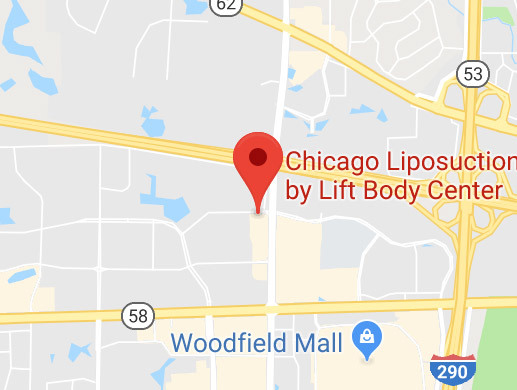 The Chicago Liposuction and Specialty Clinic provide tailor-made solutions to your cosmetic needs. As a result, each surgery varies regarding the recovery period. During the initial consultation, the doctor passes vital information regarding your procedure. At this point, the smartest move is to take note of all crucial details and write down the details in your notebook. After surgery, it is good to have a companion around who assists you in the house as you get some much-needed rest within the first 48 hours after the operation. At this stage, avoid all heavy activity and get as much rest as you can. Typically, the body starts to heal in a couple of weeks correctly, and at this point, you can comfortably perform most of the daily tasks you that formed your schedule before your surgery. Remember, however, that each process is unique and you have to follow the doctor’s instructions during the recovery period keenly. Maintain a reasonable level of activity to aid blood circulation. As your body heals, adopt a healthy diet, comprising of all vital nutrients and minerals for a quick and proper recovery. A breast lift is your best solution for getting rid droopy breasts. Sagging gives you an aged look that causes a considerable amount of self-consciousness. With time, the appearance may bring about anxiety and less confidence. Having a Mastopexy or breast lift significantly reduces the droop in your bosom, restoring that youthful look you desire so much. Our experienced personnel ensures that you can now spot a perkier, tighter, and firmer shape. We employ the latest technology in body sculpting, giving you safe and straightforward solutions for your unique preference. Looking better restores your self-confidence, freeing you to let loose and truly enjoy life. You no longer feel old and worn out, but young and revitalized. A breast lift allows you to boldly wear that swimming costume to the pool or one of Chicago’s breathtaking beaches. Self-appreciation does so much for you, restoring some much-needed confidence after rolling back the years to bring back your youthful look. The doctor passes on all vital information about the recovery phase of the process. During this time, ensure that you stick to healthy food and recommended levels of activity. This crucial phase gives your body the chance to embrace its new shape and heal with minimal interference. Avoid sleeping on your stomach as this exerts pressure on your healing body, and may slow down the recovery process or bring about other post-op complications. Maintain a reasonable amount of activity, allowing blood to circulate and aid a quicker recovery. Keenly observe the doctor’s instructions regarding the acceptable levels of activity at each stage of the healing process. Over time, fat transfers have produced varying results, with the efficacy of the procedure significantly increased over time with new technology. This cosmetic process involves the extraction of fat from areas with a little extra, treatment of the extracted cells, and injection into areas in need of some enhancement and shaping. This operation benefits multiple regions, bringing a toned, firmer look in areas where the doctor harvests tissue, and a shapely, enhanced appearance to the areas it’s injected during treatment. A while back, this procedure did not produce lasting results due to the death of transplanted cells. Only forty or fifty percent of the tissue survived the expected timeline, meaning that the acquired shape faded as the days went by. Modern fat transfer procedures involve the migration of dislodged fat. This tissue suffers less damage compared to old processes that crushed fat cells during transfer. For better results, the doctor treats the extracted tissue before reintroduction to the body. This step removes abnormal or dead cells and excess fluid. With treatment, an impressive 80 percent of cells survive past the six-month mark. You get to retain that stunning form for longer. The surgeon identifies donor sites beforehand, with a typical transfer requiring at least two locations. If on examination the doctor deems the needed tissue insufficient, you may have to gain some weight before the procedure. After extraction and treatment, the harvested cells are reintroduced back into the body via injections. Injecting the fat not only ensures minimal scarring but also has better precision and produces some incredibly impressive results. With experience, the Doctors at the Chicago use local anesthesia and syringes to add the fat to your breasts for a balanced, fuller look. Fat transfers have no downtime for recovery, allowing resumption of lighter duties in a couple of days following the procedure. Remember, not all surgeries are the same, and you should follow the doctor’s instructions regarding rest and recovery dos and don’ts as your body heals. Protective dressing on the treated area should remain on for the period recommended by your doctor, as removing it too early may hurt the outcome of the surgery. Going against your physician’s directives exposes you to post-op complications. Getting enough rest during the recovery period is crucial. Avoid heavy activity for at least two weeks, giving your body a chance to heal correctly before resuming the more exerting daily tasks. WaterLipo fat transfers are an effective method of body sculpting. This approach employs the use of modern technology to bring out your natural contours in various parts of the body. The process also goes by the name AquaStyleTM and has brought some fantastic results to patients desiring reduction of extra fat in some areas and an enhanced look in others. This procedure is an effective alternative to fillers such as Restylane and Juvederm. Breast augmentation brings up to a cup size increment, balancing any lack of symmetry in your bosom and correcting the droopy look that comes with breastfeeding and age. Restoring a youthful look improves your confidence and self-drive, allowing you to appreciate your body more and find more comfort in your looks and dressing. The results of fat transfer remain for up to eighteen months, sometimes longer. This two-tiered procedure tones one area of the body through liposuction and enhances another through injection of the treated fat cells bringing a shapely look, particularly the breasts, lips, and chin. The transferred fat comes from thighs, abdomen, thighs, and flanks or love handles. Fat transfers are straightforward, minimally-invasive procedures that involve liposuction in multiple areas and the enhancement of others. Individuals heal at different rates, and as such, the doctor recommends a suitable recovery plan for each tailor-made solution. You can reasonably expect that your process will follow a different timeline to someone else’s. For this period, you must keep the protective compression garment on for the duration recommended by your doctor. Ensure that you get enough rest and give your body a chance to heal with minimal interference. Immediately following surgery, keep the activity levels to a minimum for the first 48 hours. Depending on the nature and complexity of your procedure, the doctor gives a detailed timeline for each recovery phase, highlighting the recommended levels of activity at each stage. For best results, carefully observe all instructions. A healthy body heals better and quicker, so maintain a healthy diet. A good supply of all necessary nutrients and enough fluids ensure proper recovery. After your body heals, you still need to eat right and exercise regularly to avoid future re-accumulation of fat in the treated areas. We put your needs and preferences first, combining professionalism and state-of-the-art technology to deliver your desired look. We provide a friendly, private setup for all your cosmetic needs. Call the Chicago Liposuction and Specialty Clinic today for your complimentary consultation.